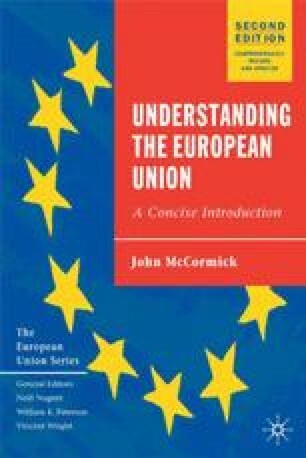 The idea of ‘Europe’ has been with us for centuries, but tangible efforts to promote voluntary European unity date back barely fifty years. It was only after the Second World War that all the theories about the possible benefits of European integration were finally tested in practice. There were several false starts, but the most critical first step was taken on 9 May 1950, at a press conference held at the French Foreign Ministry in Paris. To the attendant journalists, French foreign minister Robert Schuman announced a plan he had agreed with French businessman Jean Monnet and West German chancellor Konrad Adenauer under which the coal and steel industries of France and Germany would be brought together under the administration of a single joint authority.